Pioneers in the industry, we offer sae 100 r-6 single textile braid hoses, din 20022- 1sn (excees sae r1) single wire braid hose, din 20022- 2sn (excess sae r2) double wire braid hose, din 20023- 4sh four spiral tempered wire hoses, global hydraulic hose and global hydraulic rubber hose from India. Our reputation in this industry has largely been counted by the shooting popularity of our offered Global Hydraulic Hose which is used in road building, construction & rock drilling applications. 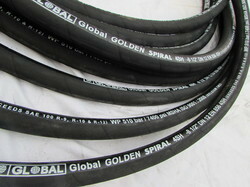 We are passionately engaged in providing an exclusive array of Global Hydraulic Hose. 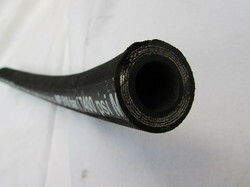 By implementing highly advanced techniques and excellent grade synthetic rubber that is highly resistant to oil, our professionals design this hydraulic hose as per the market quality standards. 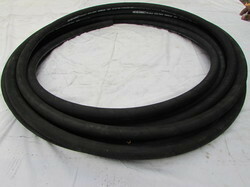 It finds vast application in road building, rock drilling and construction work applications. Moreover, we provide it at industry leading price within promised time frame. 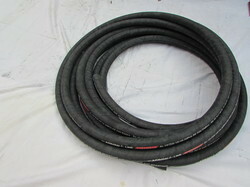 We are one of the major manufacturers and suppliers of Hydraulic Rubber Hoses Assemblies. 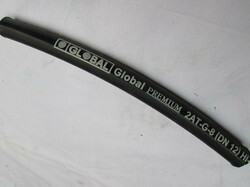 The offered Global Hydraulic Hoses are made using sophisticated RUBBER and allied raw materials coupled with cnc machined nut sae ,ansi flanges in carbon steel, stainless steel, brass and other special material and compliance with set industry standards. These pro Global Hydraulic Hoses ducts are highly acclaimed among our valuable clients owing to their optimum quality and cost-effectiveness.